Looking for a sugar free snack? 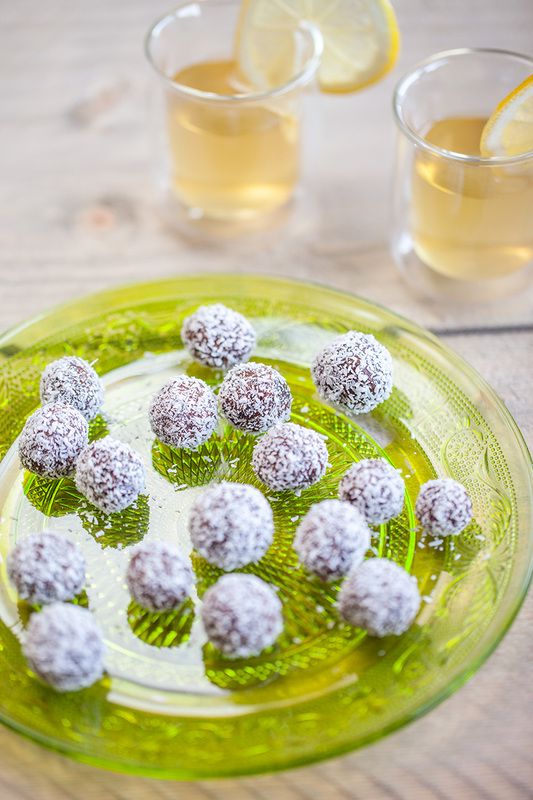 Try these coconut dates with cocoa balls. No need to bake, you can make these in 10 minutes easily! This sugar free snack goes well with a nice and hot cup of tea. 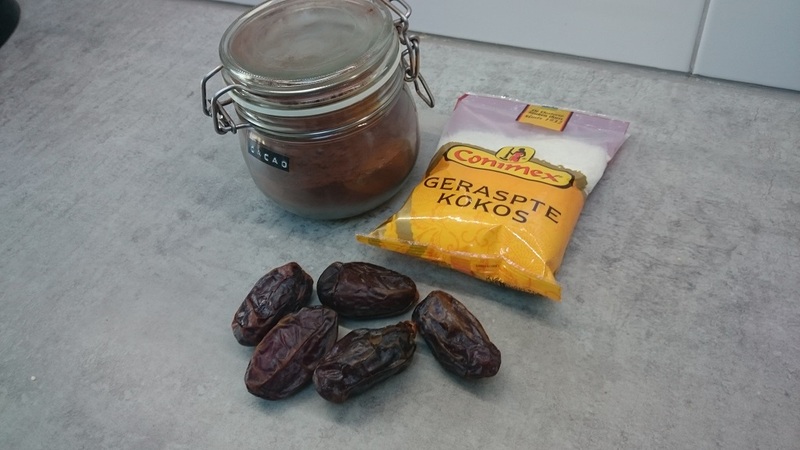 It’s a snack made from dates, coconut powder and cocoa powder. The flavors will blow you away! REMOVE pits from the dates if they are still there. 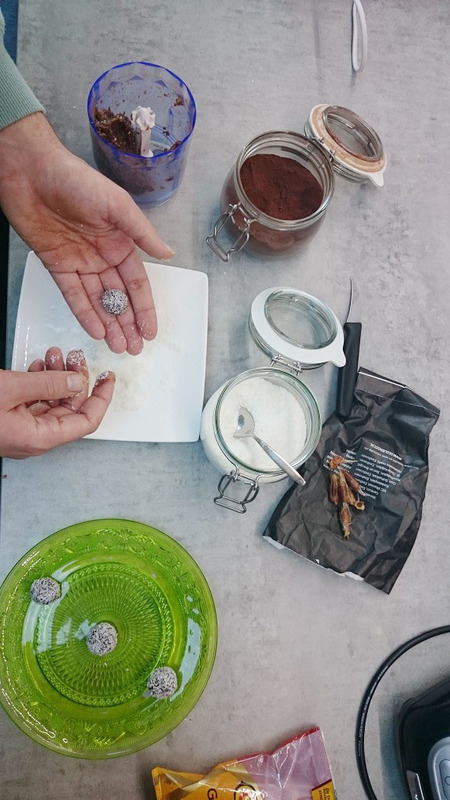 CUT the dates into smaller chunks, this doesn’t have to be very precise since we’re going to blend it later on. Put the chunks of dates into your blender cup along with 1 teaspoon of cocoa powder and 1 tablespoon of grated coconut. BLEND for about one minute, or until the everything is mixed well together. Sprinkle some grated coconut onto the small plate. 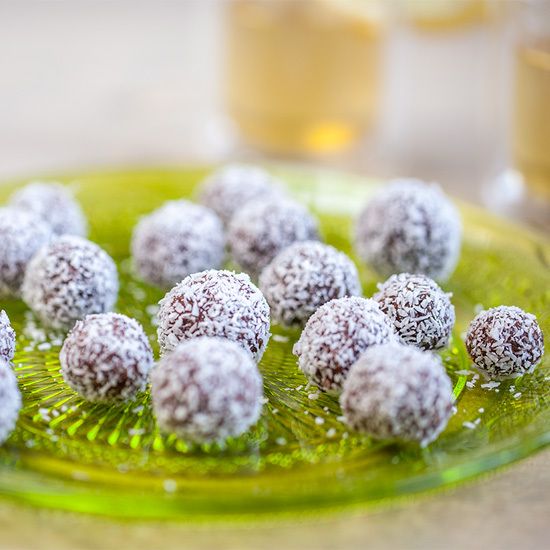 ROLL the dates mixture into little balls in the palm of your hands, then roll them into the coconut powder. 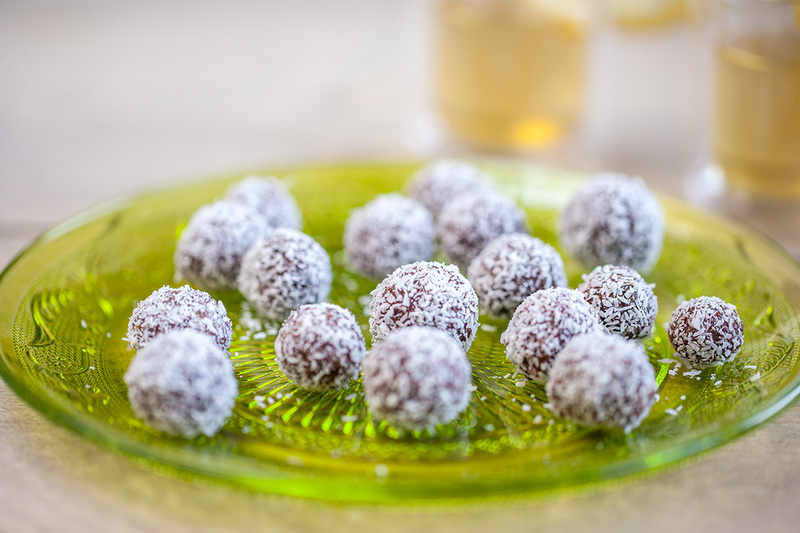 PLACE the coconut dates balls onto a plate and serve immediately. This balls are very tasty en healthy too!! Thanks for the recipe. Thank you for the recipe. They are delicious en healthy too!! !